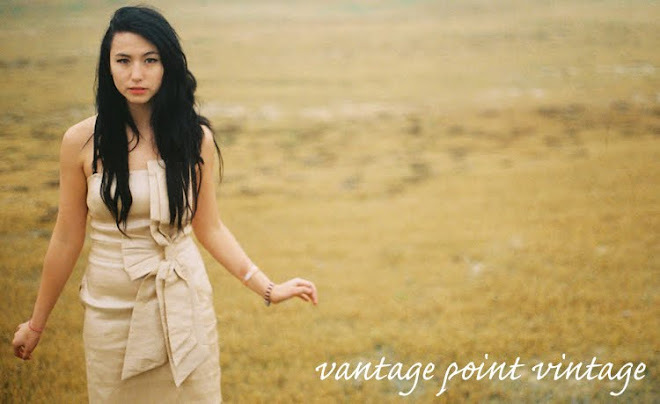 Vantage Point Vintage: Look Cute Quick! With this dress, I’d add a big belt, a couple of long necklaces, and since it’s getting cold where I’m from, fun boots and a jacket. Sometimes, just adding a jacket is enough to pull your whole look together. This jacket looks super cute over this little dress. It would look just as cute paired with your favorite jeans and a t shirt. The “rocker” look is so much fun and it’s so easy to pull off! Just grab a cool vintage tee like this one, and pair with destroyed denim shorts, fun tights (I’d opt for sheer black ones, ripped) and a pair of black ankle boots. If it’s cold, add leather jacket and you’re good to go! Skirts are great for looking cute in any type of weather because you can pair them with anything. If it’s hot out, a tank and flip flops will do just fine. If it’s cold, add tights and a jacket. Accessories are a breeze. Belts and jewelry are all you need to finish the look. And there you go! Quick, easy ways to look stylish and pulled together in 5 minutes! Shop the cuteness here!